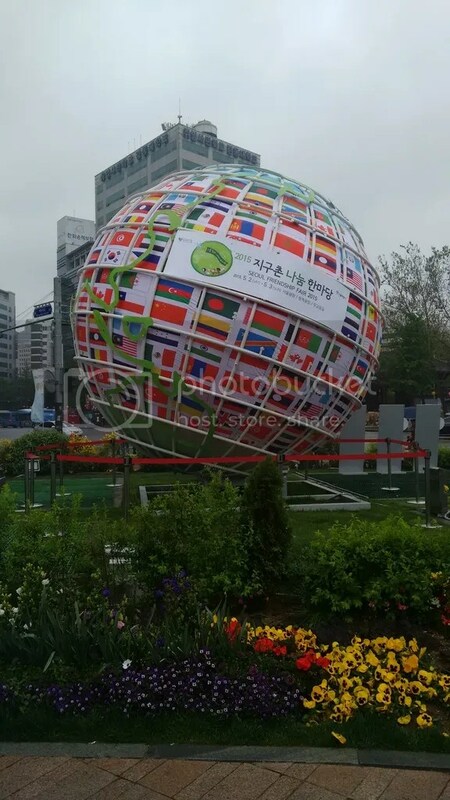 Leave a Comment on Seoul Annual Friendship fair! This is by far my favorite event in all of Korea. Not because it has the word “friendship” in it, though I do love making new friends. No! It’s because I can see so many cultures, peoples, foods, clothing, and just AHHH! Everyone mixes together for this one event and I almost feel like I finally belong. As most of you may not know, I currently live in a small coastal city called Mokpo. Finding a foreigner is almost somewhat of a rarity where I live, especially one that isn’t teaching English. Being the well-traveled Seoul I am (pun intended), I ache for something that reminds me of new adventures. And that, my friends, is why this fair is always a must-see. Last year I actually stumbled upon it on accident! Seoul is so large, and there’s always so much going on, that it’s easy to wander around and find yourself caught in some unplanned festivity. I happened to be shopping not far from City Hall (aka the area this is located) and, I swear, I followed the music and arrived into this wonderland of vendors selling foods from all over the world. It begins with an opening ceremony and a glorious parade. People represent their native homeland by dressing up in traditional clothing and dance, act, and walk their way through the crowds. After the parade you are free to walk around to all the tents and make friends with all of the different people. Last year I hung out at “Peru” and made friends with the representatives of the tent. They even gave me free food and invited me to a party later that evening to show me the “Latin side” of Korea. I made new friends, and also accidentally broke up a couple (oops my bad), and talked, laughed, and danced the night away in Seoul. This year I planned ahead of time and made sure to go for the full weekend. It did not disappoint! I dragged my good friend Gio, and a few other Mokpo people, to the festival with me and within 15 minutes we were separated. When we eventually found eachother again, we each had a plate from different continents! Gio was feasting on some rice and beans from Latin America, I was eating an amazing sandwich from somewhere in Africa/Middle East, and my two other friends were reppin’ different European countries. We left the festival with our bellies full and a happy heart. If you happen to be in Seoul in May and can make it to this festival, or if you’re living in Korea and want to immerse yourself in a hundred different cultures, then check out this festival! Check out my other posts about things you can do in Seoul by clicking here!